Calvin Harris, Drake, Post Malone, Bruno Mars, Tiesto and Armin Van Buuren are just some of the top tier artists that have graced the decks at Marquee Sydney and kept it at the forefront of international dance music. 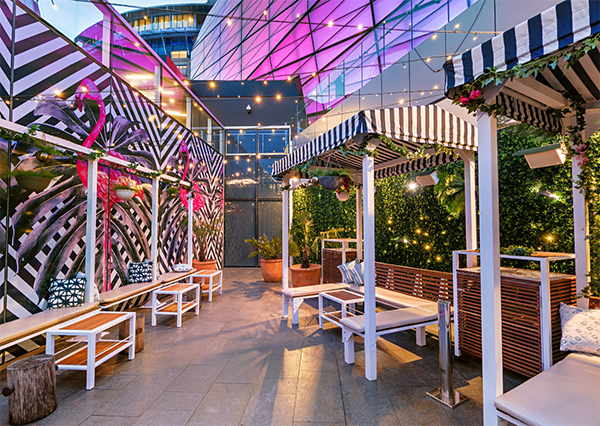 The über-chic space has redefined the standard of hospitality in Sydney, quickly establishing itself as the number one celebrity party destination. Key to this is Marquee’s legendary VIP table and bottle service that takes clubbing to the next level, an experience synonymous with the glamour of Las Vegas super-clubs. Marquee Sydney is located on the entire top tier of The Star’s harbour-side entrance and commands expansive views of Sydney Harbour and the city skyline. With 20,000 square feet of floor space, the state of the art nightclub is designed to house three distinct spaces within the one venue to cater for different musical tastes and moods. The Main Room is the heartbeat and focal point of the Sydney nightclub, featuring a high performance sound system and a 30 foot projection stage. The giant LED screen provides a striking back drop to the DJ booth and contains over 575,000 LED lights. Wall features and decor include metallic patterned wallpaper and customised skateboard wall mounted lighting sourced from London. The lighting system also features laser, strobe and smoke technology, combining together with the state-of-the-art sound system for the ultimate of nightclub experiences. The large parquetry dance floor is bordered with tables and luxury banquet seating, perfect for taking in all of the action on stage. The Main Room also features a large circular bar, with over one kilometre of LED strip lighting adorning the ceiling. 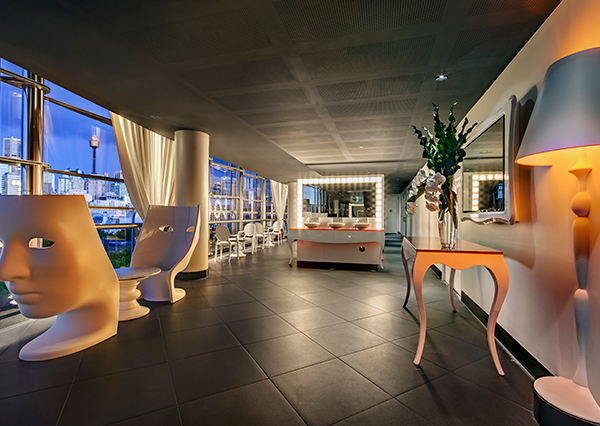 Sydney’s premiere entertainment venue has the added comfort of two large outdoor patios. The patios have seating and bars for the comfort of guests seeking some respite from the mayhem of the club. They are also excellent spaces to be used for private events. Both the Main Room and the Boom Box have adjoining patios. The Library also has direct access to the Boom Box Patio. Marquee kicks off the weekend with double the fun – two parties on a Friday night. ZOO Fridays is a Vegas influenced club night set in the opulent Boom Box with incredible city skyline views. Australia’s premiere electronic music DJs feature every week with a fun-packed selection of floor-shaking party jams. Meanwhile, the Main Room on Fridays is home to Sydney’s most in-demand club night OPM. It’s is a high-class social mixer that’s buzzing by midnight week in and week out. The open format music direction coupled with Sydney’s elite party crowd makes ZOO Fridays the official kick off to the Sydney party weekend. Marquee Saturdays is the quintessential club night out in Sydney. The Las Vegas influenced club experience offers premium VIP table service, live dancers and a jaw-dropping international DJ line-up. From Dash Berlin to Nicky Romero, there is not another venue that offers the all-in-one experience for a night out quite like Marquee Sydney. While the buzz of the main room is electrifying, guests can also enjoy a more relaxed urban experience with R&B and Hip Hop in Boom Box. To finish off the public holiday weekends Marquee runs a third night on Sundays for Easter, June long weekend and October long weekend. Marquee showcases a special guest artist in the mayhem of the main room. Guests have included Sander Van Doorn and Havana Brown; while the infamous Boom Box features the very best in all things R&B with previous performers including Ciara and Craig David. Marquee is the ultimate event destination in Sydney as the clock strikes midnight every New Years Eve. With incredible skyline views of the Sydney Harbour fireworks, premium VIP service and the biggest DJ line up of any Sydney club – it’s the clear choice for party goers on the night of nights. The convenience and vast amenities of The Star make this busy night out that much more enjoyable. All the creature comforts – shops, hotels, and restaurants are available at this world class destination.